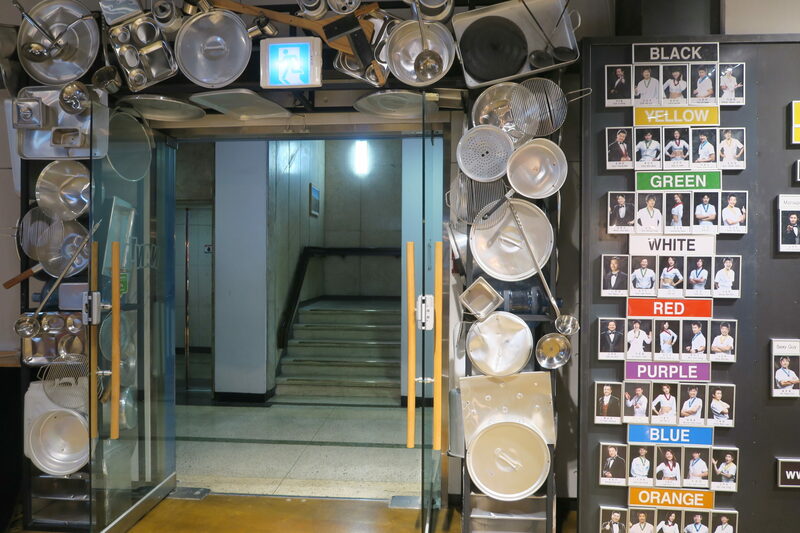 After dinner in Myeongdong, easily a more upmarket area than Nandaemun market, I came across (quite unplanned) a sign advertising Nanta Theatre. I have heard about this from a Korean friend. But all she said to me is that it is an entertaining show. Not knowing much more than that, I walked upstairs to see what Nanta is all about. Interestingly, it looked like a cooking show? Since I had nothing more planned for the night, I bought myself a ticket! As it turns out, cooking is only half the story. It is actually a prop for lots of drumming. The story line is simple. 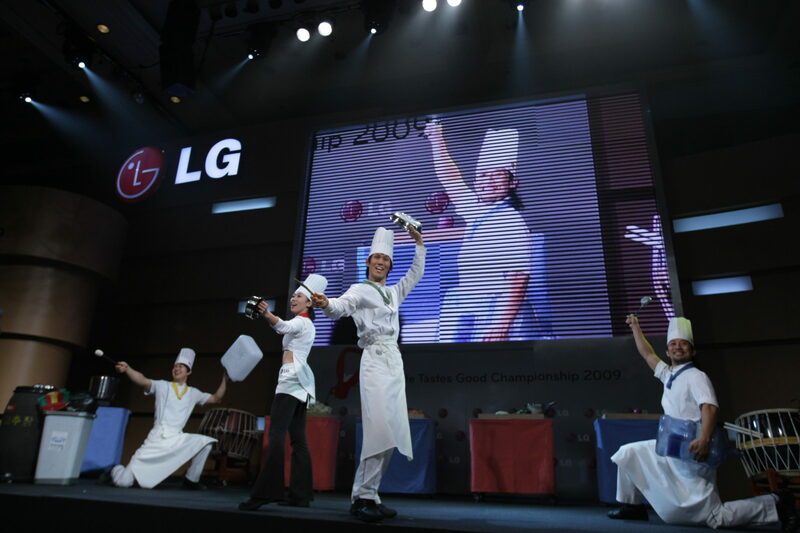 Four cooks are told to prepare a wedding banquet. And they have to do it in half the time! Of the four, one is an apprentice cook. He is also the owner’s young nephew. And so they rush around frantically preparing meals at their cooking stations making a mess of things. But that’s where the simple plot ends. The rest is an energetic performance of comedy, tricks, dance and martial arts. And lots of drumming. My favourite is the samulnori drumming which is the common thread throughout the entire show. All the pots and pans get a really good workout! Of course, there is also plenty of audience participation. If you are coerced up onto the stage, be prepared for anything. You could end up in a dumpling-making race or quite hilariously be married to a complete stranger! In Korean wedding style. But it is all in the name of fun and there’s plenty of that. Some parts are actually quite side splitting funny! I was not sure what to expect but I went away very, very entertained. 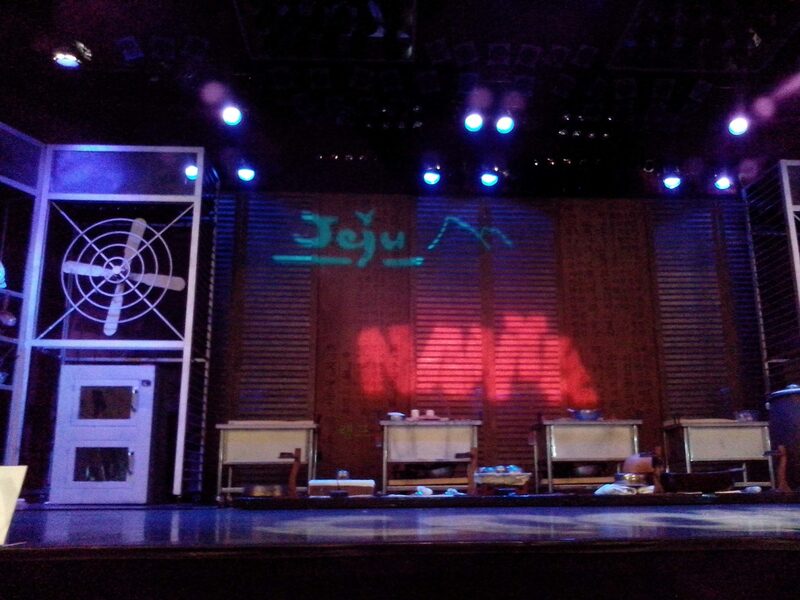 After the show, I found out that the Nanta cooking performance is the longest running show in Korea! They have played to over 7 million audiences worldwide including even Broadway! So, if you ever do visit South Korea, try this for some great entertainment. You don’t even need to know any Korean! It goes for 90 minutes and is really quite fun. What a marvelous experience! Was it hard on the ears?? ?